Vital Healthcare Property Trust is the only NZSX listed healthcare property fund with a 25/75 split in property interests between Australia and New Zealand. Their properties provide the specialist environment for medical and healthcare professionals to make a positive difference in peoples lives. 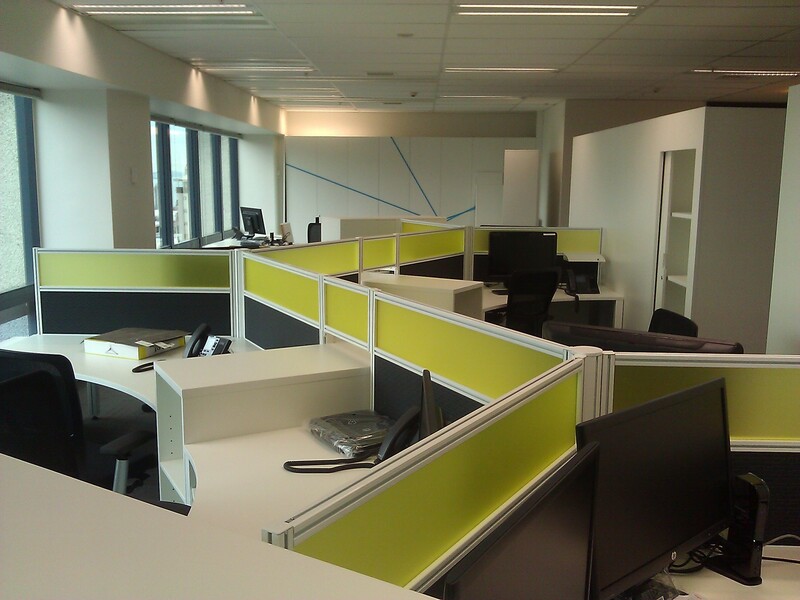 Corporate identity, flexibility and reliability drove decision making around furniture requirements for their new Shortland Street office. Our expertise was drawn on for finish selection and manufacturing ability incorporating intricate detailing with respect in particular to joinery. 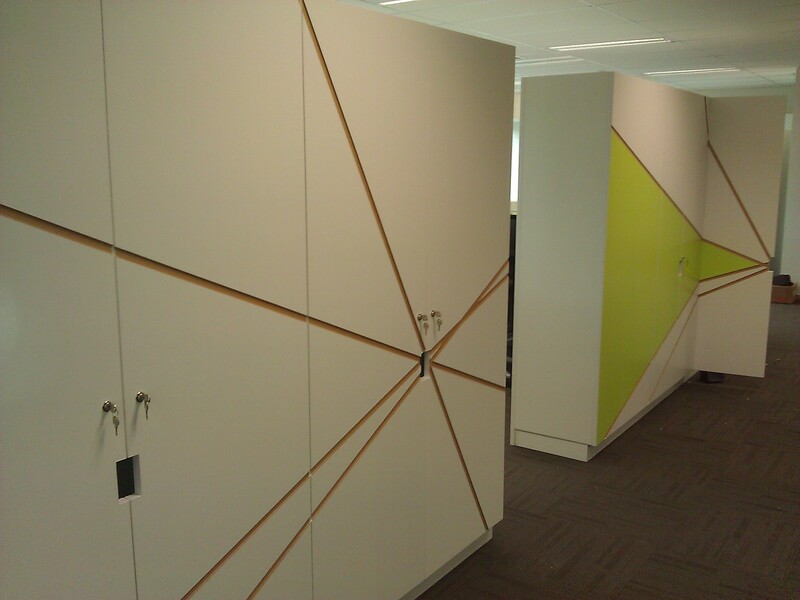 Shape needed to create lines within the doors on each storage unit depicting the Vital logo and corporate colours. This was achieved through fabricating each door in one piece, routing each line into the finished panels, masking and painting followed with a protective clear coat finished by then cutting the door panel and edging. The process was time consuming and intricate but the result was breathtaking. 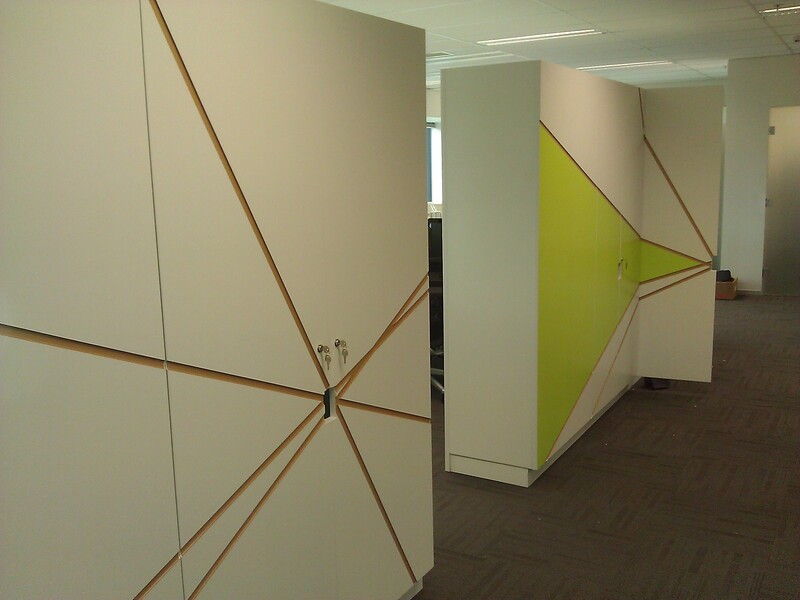 Custom storage units were also created to serve two opposing units running under the top section of screens. 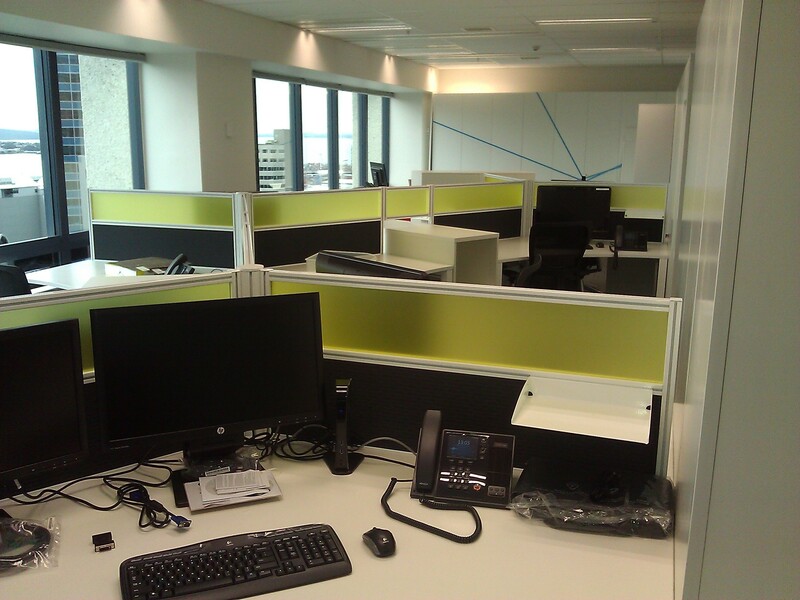 This provided a practical storage option for each user while creating a seamless straight look through out each pod of work desks.